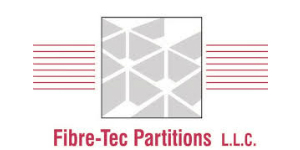 Lincoln Hill Holdings, LLC (Lincoln Hill) has acquired Fibre-Tec Partitions, LLC (Fibre-Tec or the Company). Based in Chicago, Illinois, Fibre-Tec is a fabricator of high quality, customized box partitions and pads made of various fiber and corrugated materials sold to packaging brokers, box companies, and industrial end users. Jordan Knauff & Company (JKC) served as exclusive financial advisor to Fibre-Tec throughout the sale process. Fibre-Tec is a key partitions supplier in a variety of large end markets such as: automotive parts, pharmaceutical / health care, cosmetics / personal care, food, and electronics. Due to Fibre-Tec’s customization capabilities, it often functions as the design department for its broker and industrial customers. Since its founding in 1998, the Company has focused its efforts on small to medium volume customers. Fibre-Tec is a dependable supplier to its customers based on its flexibility, honest delivery expectations, and quick quoting abilities. Lincoln Hill is a private investment firm that specializes in acquiring and growing established middle-market family-owned businesses. Based in Chicago, Illinois, Lincoln Hill focuses on actively managing growing and profitable businesses in order to create value for customers, employees, and shareholders. For further details on the transaction and JKC’s experience in the sale of packaging companies, please contact Mr. Snow at 312-254-5904 or wsnow@jordanknauff.com. When the ownership of a middle-market enterprise is considering a sale, JKC can assist them in achieving a successful outcome. The firm has had notable success in sale transactions in a variety of industries, including packaging, building products, energy distribution, and value added manufacturing and distribution. JKC has been recognized with a number of awards for its work, including the 2017 and 2016 Middle-Market Investment Bank of the Year in the U.S. by ACQ5 (Acquisition Finance Magazine), the 2013 Deal of the Year in the U.S. ($75 million to $100 million category) by The Mergers & Acquisitions Advisor, and the 2013 Energy Services & Manufacturing Deal of the Year in the U.S. by The Mergers & Acquisitions Atlas Awards. Co-founder and Managing Principal, Mr. G. Cook Jordan, Jr. has over 28 years of private equity and investment banking experience, and seven years of executive and operations experience in middle-market companies. JKC’s entire professional team have spent their careers in the middle-market and offer that expertise and knowledge to our clients. It is their mission to provide the best transaction advisory support services along with in-depth industry research to middle-market companies and the entrepreneurs who lead them. Lincoln Hill Holdings, LLC is a private investment firm that specializes in acquiring, growing, and actively managing established family-owned businesses. The firm can provide business owners with an attractive exit opportunity and deliver growth capital to the business. The Lincoln Hill Holdings team is comprised of successful entrepreneurs, operating executives, and investors who have skillfully acquired and operated leading companies in a variety of industries. Their team of investors and advisors brings extensive experience actively managing and successfully growing profitable businesses.